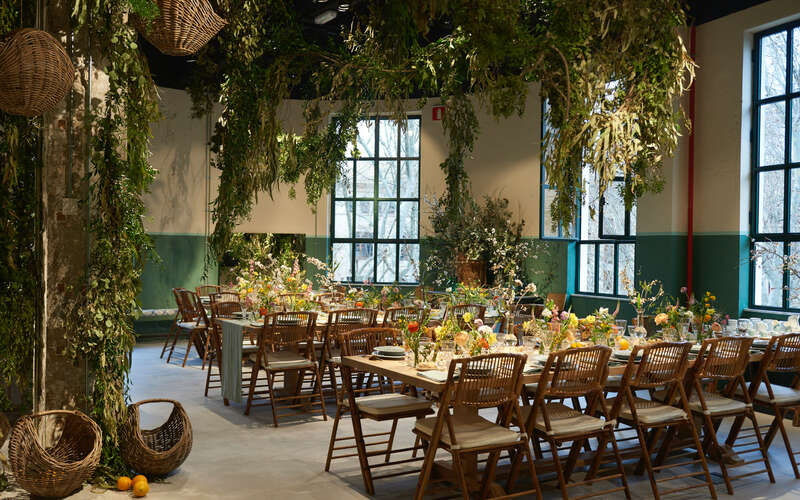 The mediterranean lifestyle as a way of inhabiting and engaging, that was our starting point for the Zara Home concept store opening at Palma, located in an emblematic 1930's industrial building in Borne Avenue. Isabel López-Quesada's interior design gives the shop a special mood. It becomes a lively place full of different yet harmonious cozy spaces. For the event, the place got full of plants. Floral designer Inés Urquijo, inspired by the island's flora used lemon, orange, almond and olive trees; palms and bougainvilleas; jasmine, rosemary and Persian buttercups. 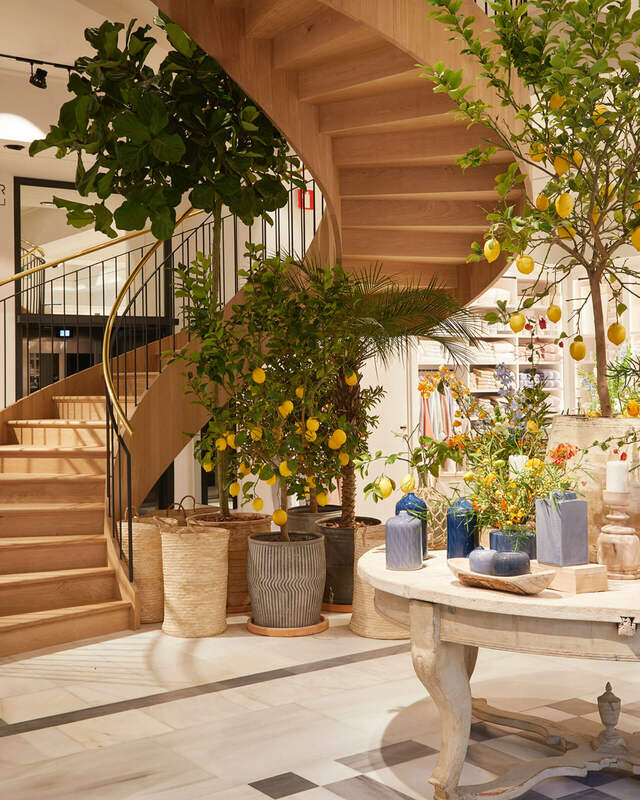 Local flora and gastronomy for a lively place: the new Zara Home concept store, designed by Isabel López-Quesada. The event started with the shop presentation and a lunch with national and international press and ended with a cocktail in the evening with several fashion, architecture, art and design personalities from the island. Food and drinks are very important social rites in Mediterranean cultures. We asked artisan Tomeu Arbona to develop a menu based on traditional Mallorcan cuisine. We communicated the event through a subtle and refined image endorsed in invitations, showcards, and a screen printed tote bag. All the atendants were given a set of typical Mallorcan products and a set of Zara Home placemats and linen napkins matching the tote bag.